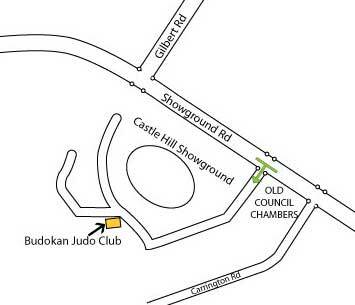 Budokan Judo Club is located in the Horticulture Pavilion within the Castle Hill Showground. The Showground address is: Showground Rd, Castle Hill, NSW, 2154, Australia. Note the new entrance to the Showground is off Showground Rd 100m on the left after turning left from Carrington. Doran Dr access no longer exists. The Club is 200m on the left hand side on the first corner after turning into the Showground precinct on the new access road.